I'm delighted to share with you some exciting news..! Today was my first official day as a member of the Sherpa Adventure Gear Ambassador Team!! I visited the Sherpa Adventure Gear store headquarters in downtown Kathmandu and was given an extremely warm Sherpa welcome by Ang Phurba Sherpa, the store manager and his team. I am absolutely thrilled to be a brand ambassador for Sherpa Adventure Gear. I have long been both overwhelmed and humbled by the hospitality, kindness and strength that the Sherpa people have shown over the course of my travels and adventures throughout Nepal. The Sherpa appreciation for balance - be it in work, life, play - has transcended to my own life in the way that I approach work, my adventures, and a deep respect for the many cultures and people that I meet along the way. In my role as an ambassador, I hope to continue to inspire others to find this balance and encourage others to explore the world and its people. Over the course of the coming weeks I'll be sharing more with you about the brand, some of the finely crafted gear that I"ll be testing on the mountain and some great ways in which you can find out more. Sherpa Adventure Gear will be launching in the UK in September so stay tuned for some exciting events that will be taking place as part of this exciting new brand..! Brand Ambassadors, Kenton Cool and Neil Gresham have already started a series of lectures about their many inspiring mountain adventures which will be sure to get you inspired and planning your own..! Sherpa Adventure Gear was founded in 2003 by Tashi Sherpa, who was inspired to start the company when he discovered that his uncle was one of the Sherpa on Sir Edmund Hilary’s celebrated, first-ever expedition to the summit of Mount Everest in 1953. Sherpa Adventure Gear—which manufacturers apparel for mountain and outdoor adventures—honours the unsung Sherpa heroes who make high altitude Himalayan climbs possible by carrying the loads, laying the ropes, and guiding the way. Sherpa athlete-ambassadors test and help design Sherpa Adventure Gear products, most of which are manufactured in Nepal. The company employs over 150 people in Nepal, and in 2009, furthered its local commitment when it opened its downtown Kathmandu headquarters, which houses its offices, a flagship store and The Terrace bed and breakfast. Two more stores opened in 2010, in Namche and Pokhara, Nepal. Sherpa Adventure Gear gives back to the Sherpa community through its Paldorje Education Foundation. A portion of every sale funds educational and social initiatives, such as providing scholarships to deserving Sherpa children. 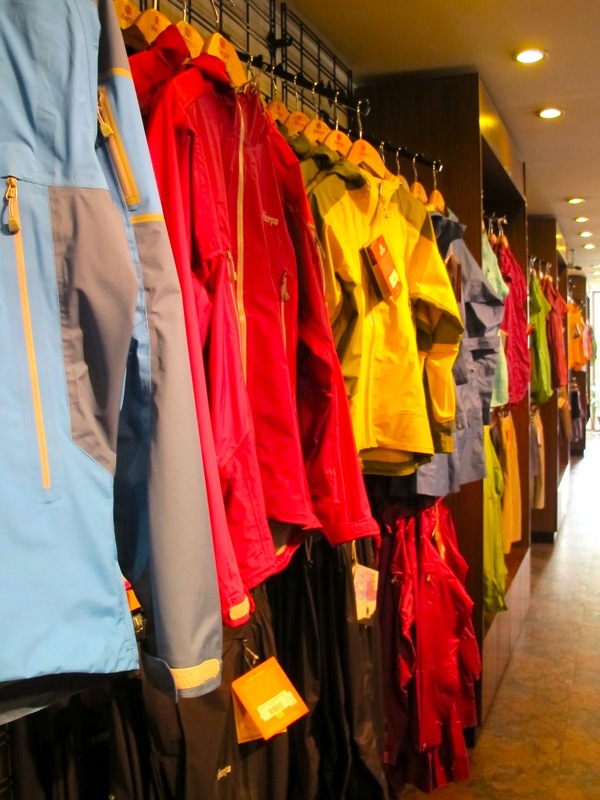 The well-stocked shop in Kathmandu for all your outdoor adventure needs! Every piece of Sherpa gear is finished with an Endless Knot. This auspicious symbol represents the unity of thought and action, words and deeds, wisdom and compassion. The knot is represented on all clothing to bring you good fortune and serve as a constant reminder that all things, in all ways, are tied together as one.